The following is an excerpt from the Stirling/Robb Family Tree. Our family emigrated to the USA in 1948 and settled in Donora, PA. They quickly integrated into the local Scots community, as explained below. 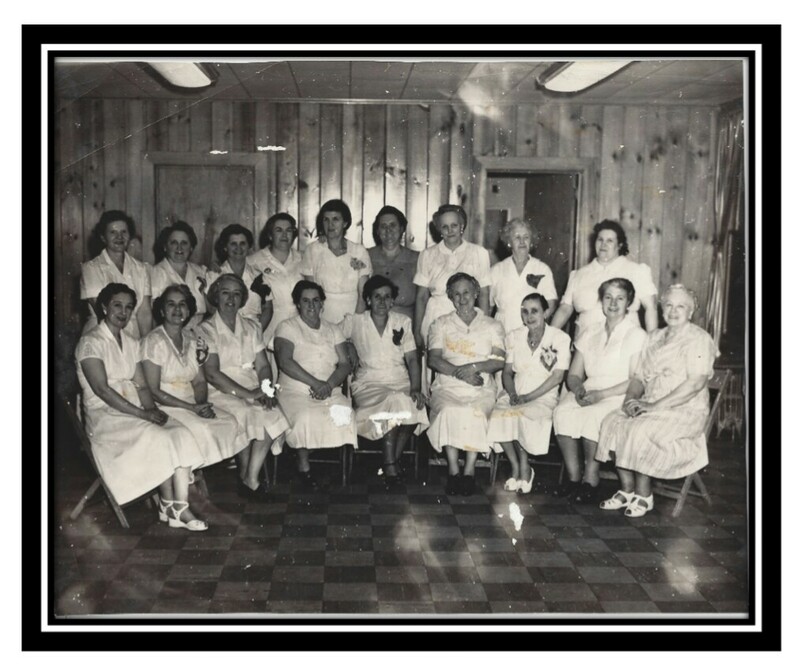 I have submitted this excerpt from our family story, after reading the blog entry submitted by Patricia Angus regarding Nationality Days at Kennywood Park and memories about The Green Gables. Much like the other industrial cities and towns around the nation, new immigrants settling in Donora , Pennsylvania banded together in organizations centered around their ethnicity, language and religion. Some of these were for purposes of mutual assistance or insurance, while others were social clubs or ethnic pride organizations, or church affiliated parochial schools. From Russians to Germans to Slovaks to Croatians to Spanish to Italian; you name it, Donora had it. 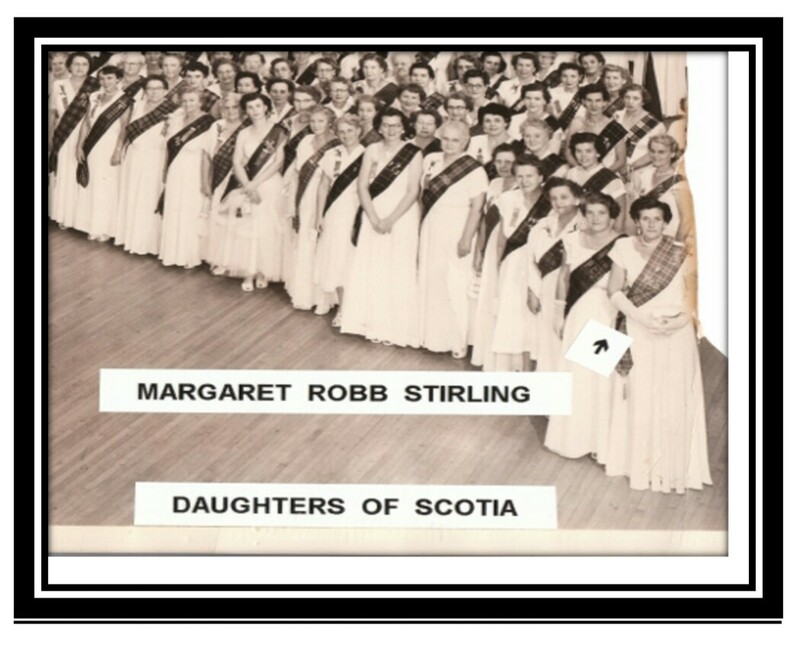 The local Scots women organized the Daughters of Scotia, Broomie Knowe Lodge, Margaret Stirling and her daughter Sadie Taylor became leaders in the organization. 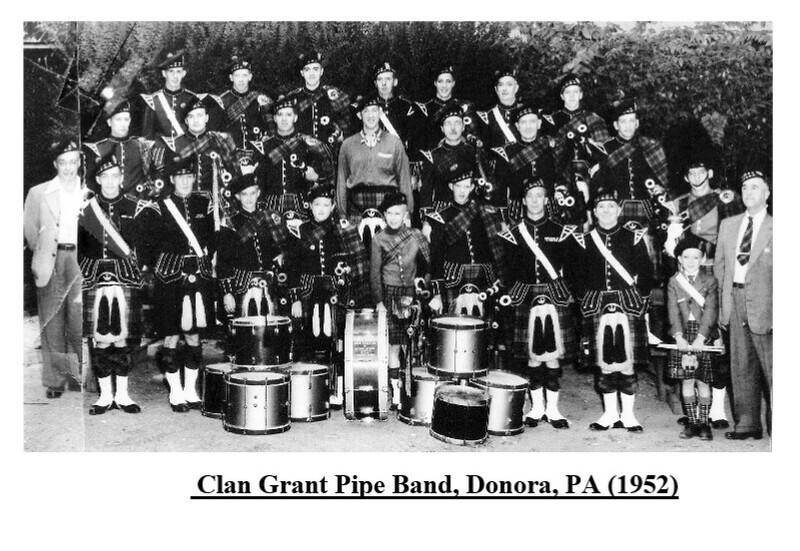 The Scotsmen in the Donora area decided to organize a bagpipe band and around 1950 they began acquiring the musical instruments and uniforms. 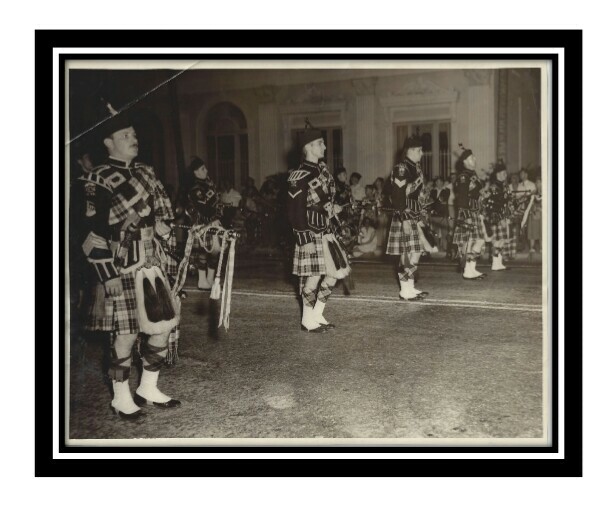 The bagpipes came from Pakistan and the kilts, jackets, belts, sporrans, spats, headgear, dirks and sgian dubh knives came from the old country. Then came practice, practice and practice, marching in the parking lots at Palmer Park. 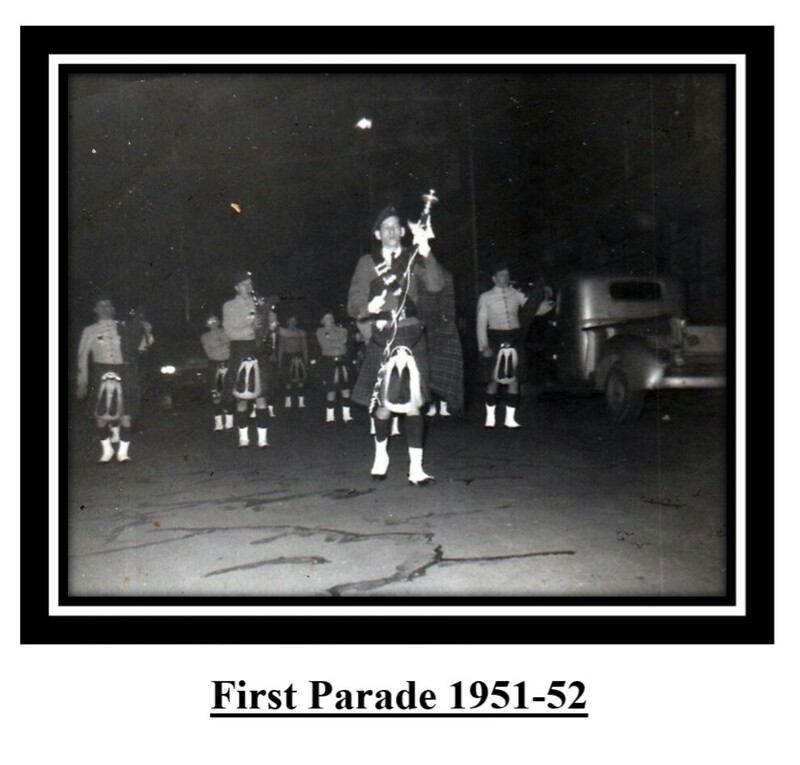 The Clan Grant Pipe Band began marching in local parades in the Pittsburgh area in 1951/52. One of he youngest members of the band at its outset was a drummer, Ian Taylor, then just eight years old. 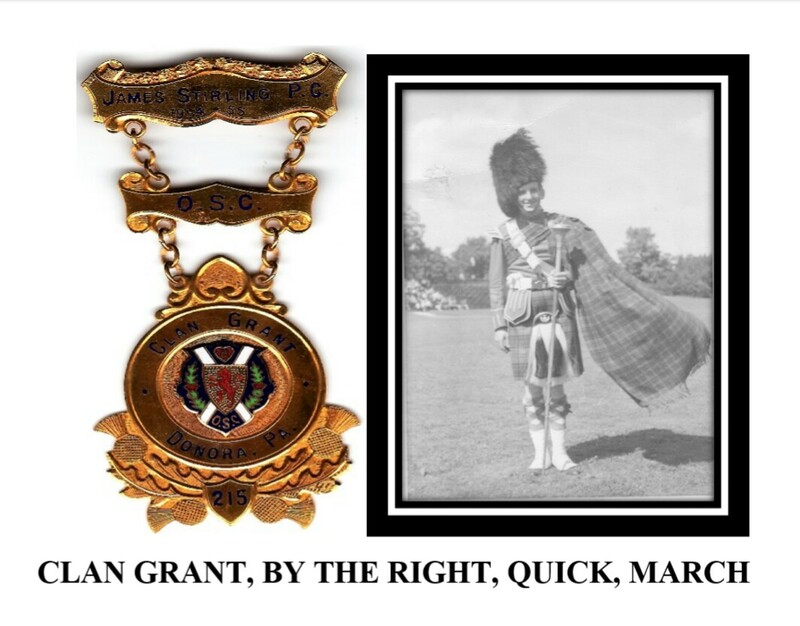 Andy Stirling was an expert piper and played with the band as Pipe Major, save for his tour with the U.S.A.F. Bagpipe Band. 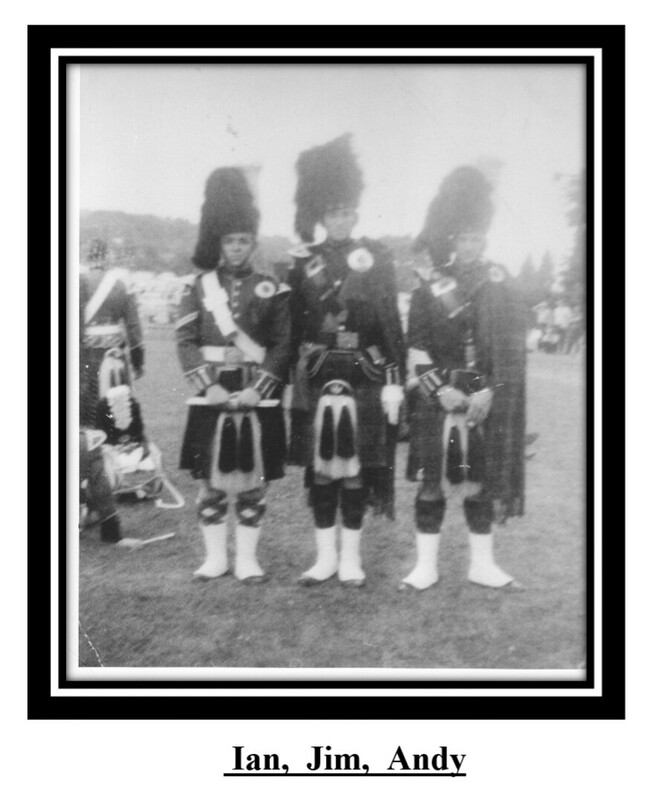 Jim Stirling was also a drummer, but was quickly promoted to Drum Major. Years later, Andy explained that, “Jim was the tallest member (6 ft 3 in), he looked great up front and loved to bark out orders….and, oh yeah, he couldn’t carry a tune in a bucket! One of the biggest events of the year for the band was the annual Scottish Ethnic Day at Kennywood Park in nearby West Mifflin, PA. Several pipe bands would gather and march through the amusement park, play in concert and then retire to the main event at the Green Gables; a bar and restaurant just outside the park. The beer and whisky flowed freely and the food was straight out of heaven. Pick-up bands were formed from members of the various groups. They would play inside the bar until the wee hours of the morning. The kids would curl up in the booths or under the tables to sleep until it was time for the most exciting ride of the day; the drive home to Donora.